Sometimes you just have to cut loose! The more we learn about brain science and mental health, the more we understand that relaxation is a critical part of a healthy life. When you think about the fact that the brain is a muscle, and sometimes muscles need rest, this makes sense. 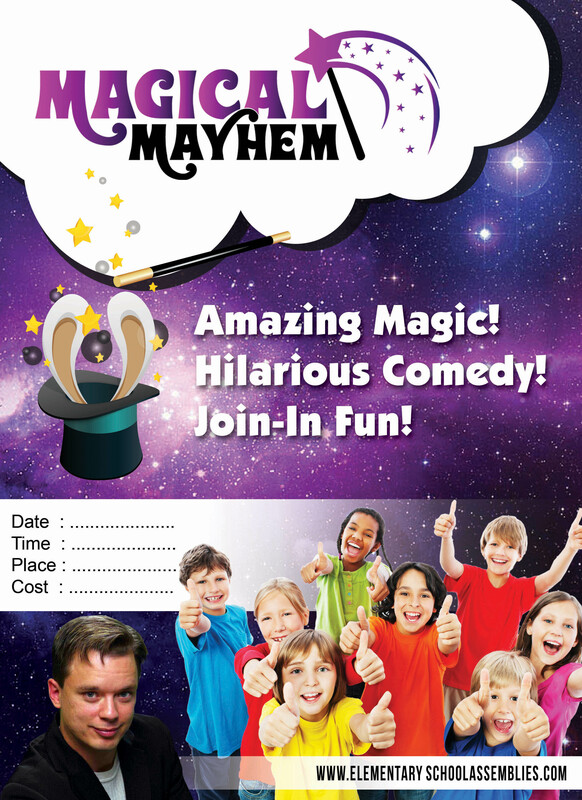 To help with this restful / bonding nature of having a ‘just for fun’ activity at your school, I’ve created an incredible goofy, zany, wacky show called “Magical Mayhem!” It’s NOT the ‘same old’ magic shows you may have seen. It’s weird and kooky and definitely has stuff you haven’t seen before! Cris will make an INDOOR SNOWSTORM! A tribute to Harry Houdini goes horribly wrong…with hilarious results! 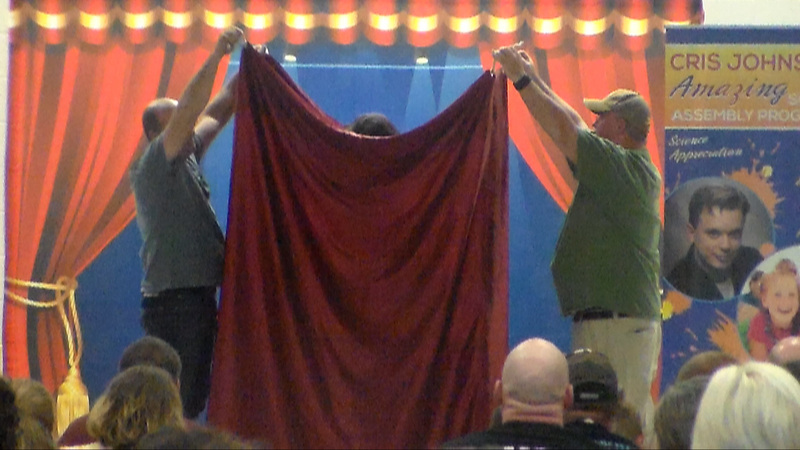 One volunteer…two pieces of tissue paper…a 50-foot surprise! This show is customized for the age level of the kids attending, so if your school is a K-2 school, I will not be using the giant head chopper! I also alter the show to fit the size of your group, so if your school event is 500 students strong, I’m going to be bringing bigger stuff than if I’m performing for 35 kids on a per-classroom basis. In short, this show is like Silly Putty: it stretches to whatever you need! This show is customized for the age range of your audience and can be suited for any age group from age 5 to 90 and for groups from 10 people up to 500! Want An EASY Way To Raise Money For Your School Or Special Event? That’s right, this magic program can be offered as a fundraiser! Believe me, I know how time consuming traditional fundraising methods can be. As a result, years ago I created a simple fundraising method that are fun, easy and fast! My “Family Night Magic Show” is the perfect way to get your community involved and excited about supporting your school. Spectacular magic, music, audience interaction and onstage volunteers create memories your community will have for a lifetime! Adults and children alike will enjoy my unique humor and amazing magic! As always, I bring all of my own props and tables, and customized backdrop and compact state-of-the-art sound system. This is an act that can be performed in almost any location, large rooms or small, stage, auditorium, classroom or cafeteria. It can be adjusted to be suitable for groups of from 10 to 350. I’ve created this fundraising option to require as little effort on your part as possible. All you have to do is provide a location for the show and sell the tickets, either pre-sale, at the door or both. I will provide an entire CUSTOMIZED-FOR-YOUR-EVENT KIT that you can use to promote the event. You also have the option of selling refreshments at the show to enhance the experience and increase your money making potential. At the end of the show, the school gets 50% OR MORE of the ticket sales and ALL of the money raised at the concession stand! 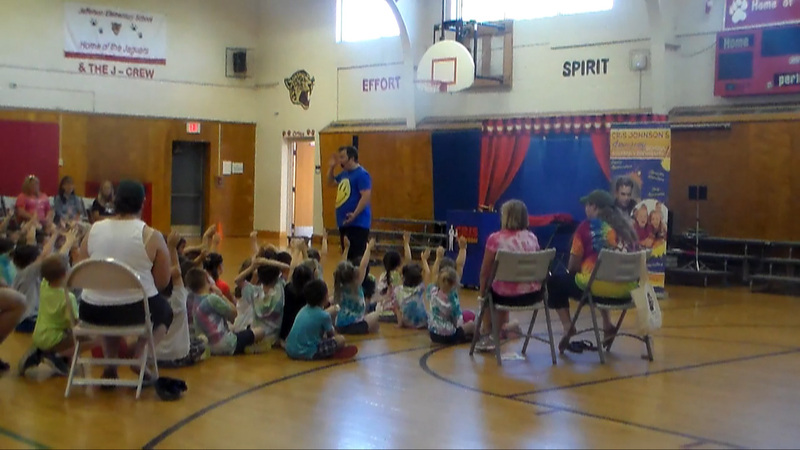 When you book one of my popular daytime educational assembly programs and my “Family Night Magic Show” for the same day, I will waive my standard fee for the fundraiser show, receiving only a portion of the ticket sales from you! This means you have nothing to lose. In other words, I only get paid for the “Family Night Magic Show” when you make money on ticket sales. Want To Make Even More Money? With just a small amount of effort, you could make this show even more profitable! 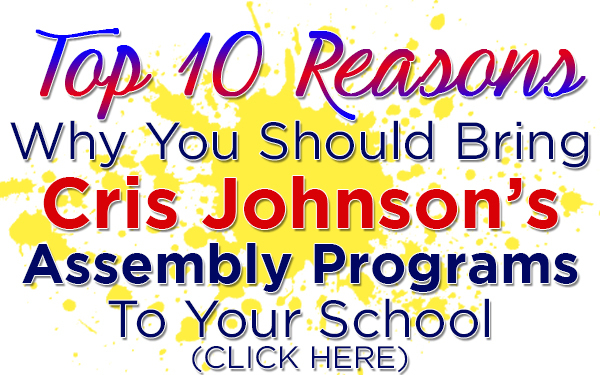 Just ask and I’ll will provide you with customized fliers, ticket masters, press releases, morning announcements, and a guide book filled with ideas to maximize the earning potential of this program! Simply photocopy the fliers and give to the students to take home, give the press release to your local newspaper, and keep the students excited with the morning announcements and I guarantee you’ll make a ton of money for your school! Call me at (716) 940-8963 for more details.